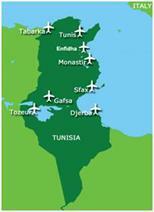 Nine international airports link Tunisia to Europe, to Africa and to the Middle East. 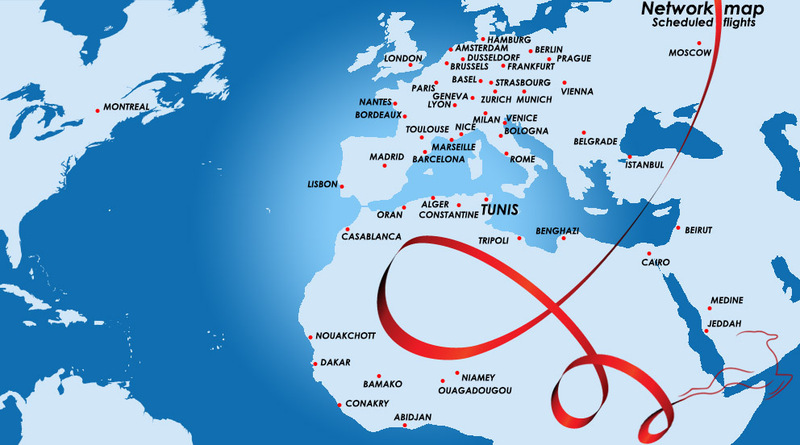 Main and nearest airports are: Tunis Carthage (TUN), Enfidha (NBE), Monastir (MIR), and Sfax (SFA), served by numerous international airlines and charter companies. Domestic flights are provided by a national company. 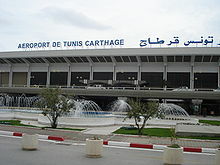 Tunis – Carthage International Airport (TUN), Main Airport in Tunisia, Distance: 20km, Airline Companies: Tunisair, AirFrance, AirEuropa, Lufthansa, Turkish airlines, Alitalia, etc. Hammamet International Airport (NBE), Distance: 120km, Airline Companies: Tunisair, Airberlin, Nouvelair, etc. Monastir International Airport (MIR), Distance: 180km, Airline Companies: Tunisair, Nouvelair, etc. Sfax Thyna International Airport (SFA), Distance: 300km, Airline Companies: Tunisair, Syphax airlines.